Help Documents - Version 5 Group Registration SetupHow do I turn on Group Registration WITHOUT Group Codes? This is the Simple Group Registration Mode article. Group Registration WITHOUT Group Codes allows the Group Leader to register all of his/her group members themselves without using a group code. No Group Code is needed in this mode. Each registrant will have a record in the database. Alternatively, your Group Leader can create and distribute a group code to their members who then register themselves into the group independently using the Group Code registration mode - How do I turn on Group Registration WITH Group Codes? 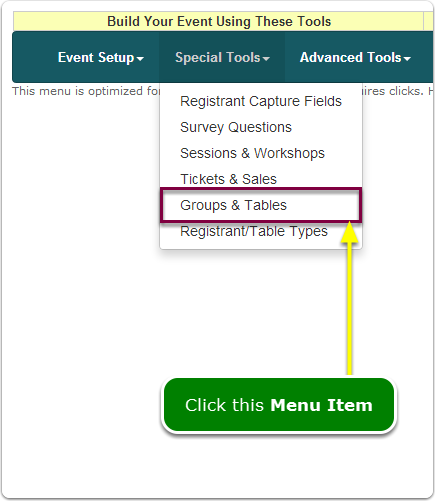 Group Registration is very powerful and can simply your event management tasks. Here's a little bit more information on some of the rules governing the use of Group Registration: What is Group Registration? Group Registration and Banquet Tables are mutually exclusive tools; only one can be used at a time. 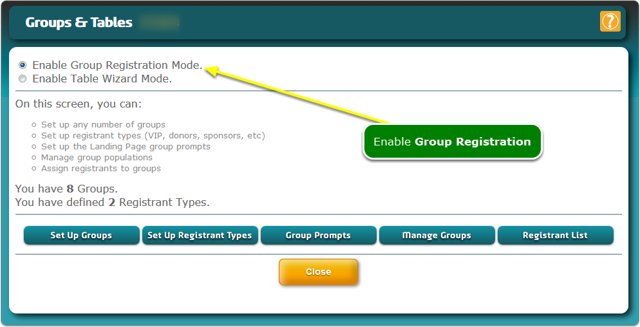 Turn on Group Registration Mode. 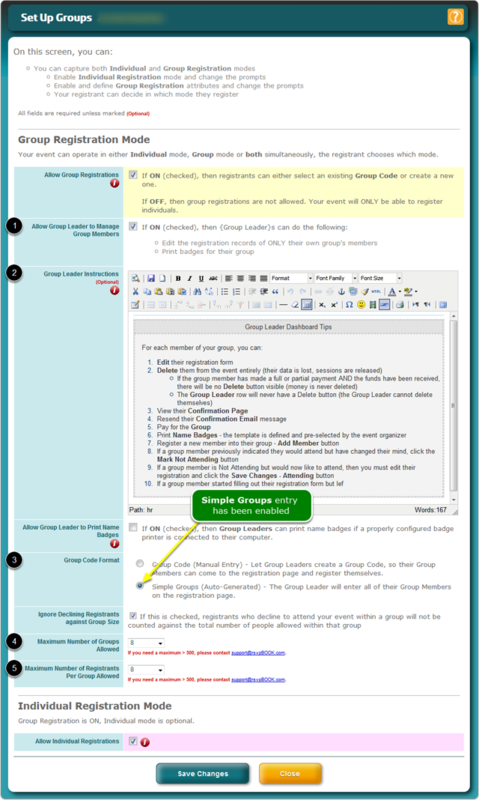 Set the Group Code Format to Simple Groups - Group Leader registers himself and all members of his/her group - See the Group Modes section in this article: What is Group Registration? You can add registration instructions to the Landing Page. How do I enter registration instructions for registrants? Prev: How do I turn on Group Registration WITH Group Codes? 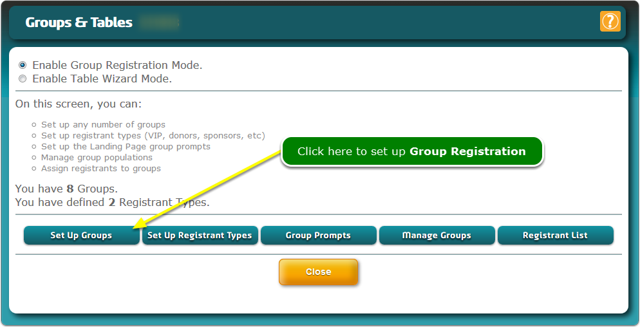 Next: How do I set up my Group Registration prompts?